Your children look to you for guidance and wisdom. You are the source of their strength and happiness, so it comes as no surprise that you can also be a source of sustainable, healthy habits. Teaching children to live in health and harmony can help them blossom into happy adults. If you want to give your children the priceless gift of health, here’s some advice to help you along the way. We all have fears about the future and regrets in our past. But the key to peace and happiness may just be to focus on the present. Being mindful and more in tune with what’s happening here and now has been linked to increased levels of joy. So help your kids stay healthy by getting them to practice mindfulness from the start. Begin with some breathing exercises or take some time to get them in touch with their senses. to disorganized spaces at home. Your kids need a stress-free environment to truly thrive, so take some time to tidy up. Declutter problem closets and playrooms, using bins and baskets. Now is also a good time to make sure children can’t get their hands on items they shouldn’t. Put items that are not safe or appropriate for children in high, secure spots to keep your belongings and your children safe. Children need to explore and stay active to stay healthy. You can plan some family activities that will encourage exercise and also educate. Walk around the local zoo and have them tell you facts about the animals. Or go on a walk through your favorite local park to point out different plants. Spending time together as a family encourages healthy bonds, while staying active will improve your entire family’s health. Helping your children communicate effectively allows them to form better relationships in life. Using positive communication is a wonderful way to show your children how to really listen and how to clearly express themselves to others. Put these practices to use when speaking with your little ones. Take time to listen to them, consider their opinions, and talk out your thoughts together. Poor communication can cause problems and stress throughout life, so give your children an advantage by assisting them with theirs. Stress is an unfortunate part of all of our lives. Even children face stress from time to time. It’s up to you to help them find constructive ways to decompress. Luckily, there are endless solutions to dealing with stress for kids. 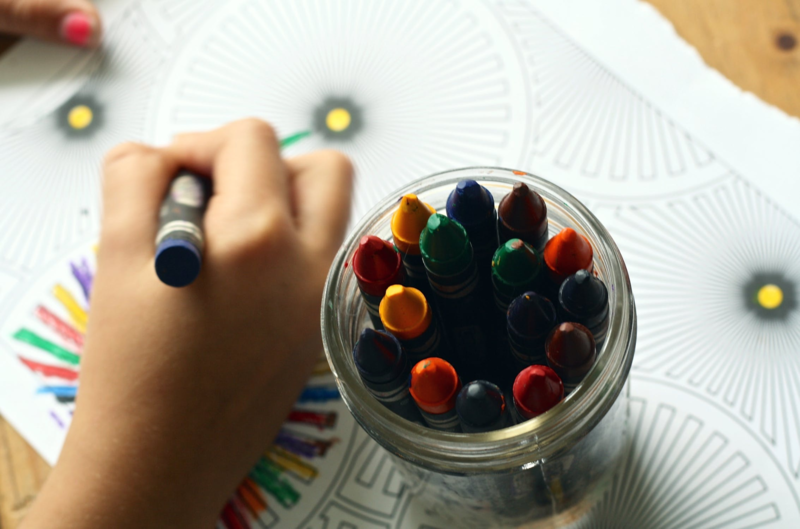 If your kids are feeling some strain, get out some crayons and let them color their tension away. Art can be an enjoyable method for making stress disappear. Sleep is essential for kids, and adults, for a variety of reasons. Good sleep hygiene aids children in maintaining a healthy weight, fends off colds, and keeps their bodies growing. Developing calming practices before bed will promote peaceful sleep for your children. Keep toys out of their bedrooms, if possible, and adjust lighting to inspire calm. If you allow them to use screens, shut them off a few hours before bed. Setting healthy sleep patterns will benefit your children’s body and mind. Establishing healthy habits for your kids doesn’t have to be difficult. With some minor tweaks to their routine, you can really make a difference in the quality of life they live now and in years to come. Give them the tools to live a calm, balanced life and find true happiness in their heart.